These past two weeks have been insane for me, professionally, and personally. We had the JDRF Walk for my daughter, a spring concert, my eldest’s first communion, and, of course Mothers’ Day. I held the cover reveal for Dare Me and dialed in on the last chapters of my Work In Progress. I’m two chapters out from what would be my 2015 title. Fingers crossed. But amidst all this, last week, I got quite a surprise. For those of you who are members of my Facebook author page, you know the story. I apologize for the redundancy, but every good story bears repeating. 1. That the kids WANTED to read the story. 2. That she read it AFTER they did. That takes courage with the content, but I applaud her for that. Tap Out should not be the new literary standard, by any means, but as a gateway for readership… I’ll take it. Here’s the review. So the teacher who contacted me had another request after I responded to her tweet. Her class wanted to know the story of how Tap Out came to be. I had five minutes while I had lunch, so I typed the message below. She got back to me later in the day, thanking me for the message, as her students truly enjoyed the feedback and a moment with an author. I am quite honestly the one who reveled the moment. To know your work has value, real, impacting value. Yeah, that’s what motivates me at 4 AM when I’d rather be sleeping. I teach in a school that had a number of students participating in MMA. I noticed them and realized that many had a similar background (impoverished, violent homes). I then considered what it would like to be one of them, but on an extreme level, where they had literally nothing, not even MMA as an outlet. What kind of life would that be? Tony was born from that idea. I wanted a kid tough enough to withstand, but who has been beaten down long enough that he questions himself, what he can take and whether he should keep fighting. I’ve witnessed a lot of kids like Tony (male and female) who are good people, but for whom life has not been kind. Some turn out well; most do not. Therefore, I wanted a good kid who’s been given a raw deal to suffer as much as anyone could, in order to see which way he would go. I can honestly say I did not realize how it would all shake out, but I am happy with the fact that Tony made some choices that do not sit well with people. That lets me know I made it authentic. Real life rarely sits well at all times with all people. Tap Out is not a story of my life turned fiction. I have witnessed poverty and extreme violence and insanity, but secondhand. I am not Tony, but I love him for all his flaws, and for his humanity. Because in the end, I believe there is hope for him. Later, I messaged the teacher and she told me that the students were so awestruck that they demanded she give them all printouts of my response. Unreal. But it’s also so validating, because I meant every word of that response, and to receive such feedback made my day on so many levels. It’s a tough job, writing. You have to fully commit, and must expect nothing. I’m there. I live that life, in the very odd, isolated way it can often feel. But then there are these moments, when all of it is worth it. Not because of the money. Not because of the accolades or critical praise. But because some kid, somewhere is reading. And he or she is reading my book. And he or she loves it. I did that. And I get the opportunity to continue to do that. Yes, that is awesome. 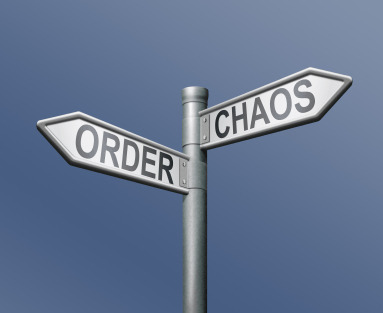 And I’ll rough the chaos for that moment of order, whenever it materializes.